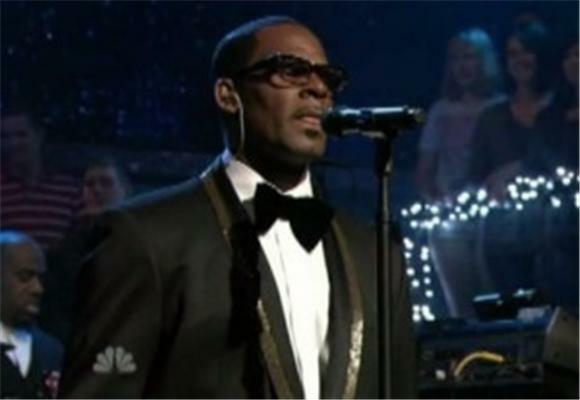 R. Kelly made the first of his two scheduled appearances on Jimmy Fallon last night. There wasn't a performance of "Trapped in the Closet," but he did preview a song from his forthcoming album Love Letter. The Grammy-nominated tune, entitled "When a Woman Loves," is broken into three sections: a slow one, the dramatic ending to said section, and a fast one. Our usual source for the video embed, The Audio Perv, seems to be having issues (their video kept leading me to the pre-order page for Love Letter... IT'S A TRAP! ), and youtube posts are dropping like flies due to copyright claims, but we'll have video of the performance as soon as we can.